Every dining area at Westwood provides stunning views for the ultimate dining experience whether you want to grab a quick bite or enjoy a multiple course meal. Executive Chef Greg Kapel has created an extensive menu suited for everyone's tastes. The entire culinary team will delight your palate and satisfy all of your expectations. The foundation of Chef Greg's menu is based on fresh, seasonal products. 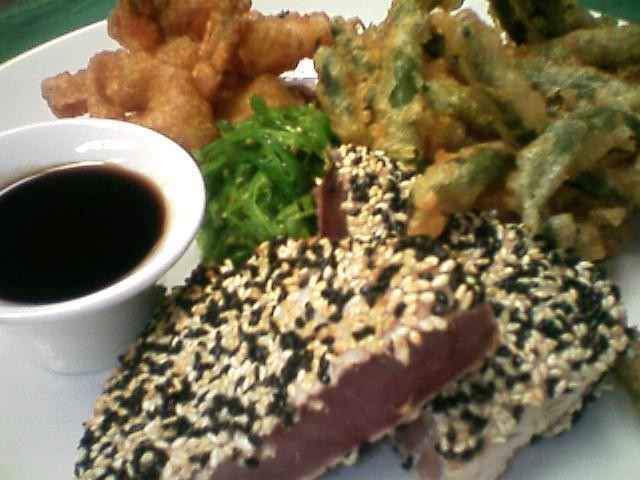 He works with local farmers, features organic ingredients, and has an extensive fresh seafood program. Members enjoy family-style dining, ordering a la carte, buffet-style or the elite 'Chef's Table' depending on the occasions. The Alison Room is Westwood's formal dining area open for lunch and dinner. The variety of seating includes intimate tables for two, comfortable booths and the Signature Table that seats up to eight. 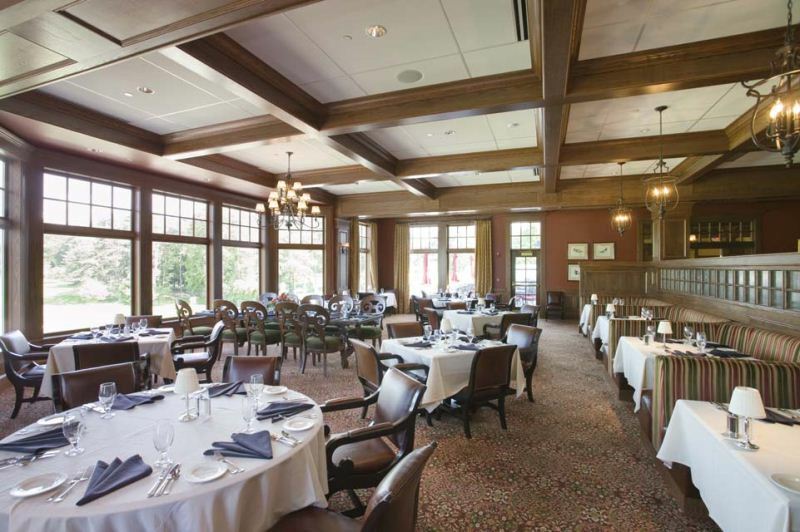 A light, open room with beautiful woodwork, the Alison Room is located just off of the Dining Terrace and looks over the Lounge Patio with the most impressive view of the 18th hole of the Golf Course. Breakfast, Lunch, and Dinner are available in the Alison Room during Clubhouse hours. A favorite and lively location where members meet to socialize and have a cocktail before dinner, the Alison Room Bar includes plenty of seating and flat screen television. The lengthy bar accommodates ten leather-mahogany bar stools and four tables for a quick dinner, appetizers, and meeting up with friends and family. The Family Grill is the perfect place for families to dine together. The room is located on the main floor off of the Alison Room and has a flat screen television, variety of table arrangements, and comfortable booths. Overlooking the 18th Green and Lounge Patio, the Dining Terrace is the ultimate outdoor dining experience. Surrounded by breathtaking views, members may choose to dine in the shade under the large umbrellas or enjoy some sunlight. The terrace is blue stone and the staircase leads down to the Lounge Patio for an after-diner socializing. 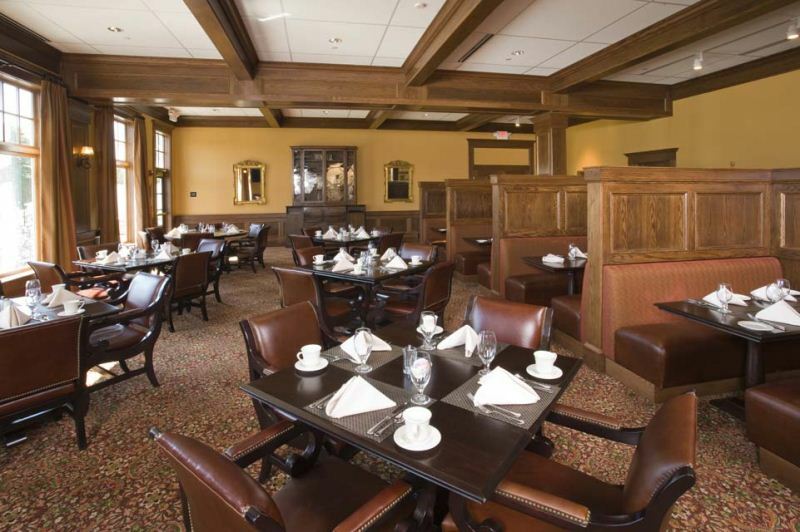 The ideal spot for a quick grab-and-go lunch, The Grill is located on the bottom floor of the Clubhouse. There is easy access to the Lounge Patio and just a brief walk over the the Golf Shop, so it is a favorite location before and after playing a round of golf. 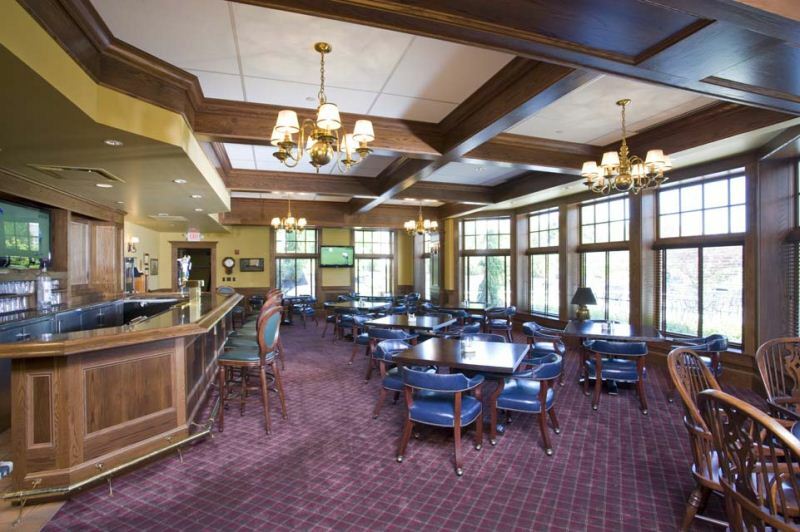 It is also a great place to catch the latest Golf Tournament or sporting event on any of the three flat screen televisions while enjoying freshly popped popcorn! A Fire pit, comfortable patio furniture, rocking chairs, and great outdoor service make the Lounge Patio the most fun and relaxing area for members to mingle outside. With a great view of the east side of the Clubhouse and able to watch golfers as they finish the 18th Hole, it has become a wonderful area for events such as the Sunset Socials with Live Entertainment.